Modern Harmonic is re-releasing Hi-Fi in Focus and Workshop on vinyl. Both will be available on October 20th 2017. *List updated on February 5, 2019. Last edited by Hendrik on Tue Feb 05, 2019 9:52 am, edited 3 times in total. 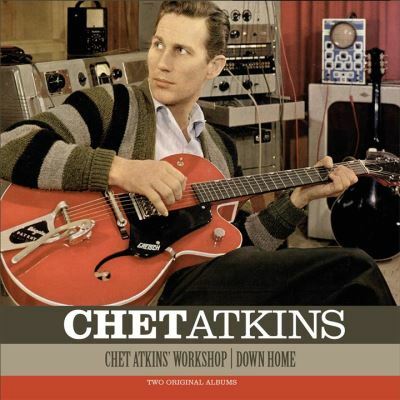 I think Hi-Fi in Focus is my favorite Chet Atkins album. I have several copies from yard sales and thrift stores and my original from a record store. I really liked all of the arrangements on this album, but Walk, Don't Run was my favorite...Ain't Misbehavin...heck I liked all of them! In addition to the announcement of the 2 re-released LP's, Modern Harmonic made a short video about Chet. They interviewed country music historian, critic and journalist Rich Kienzle who also worked on the Chet Atkins: Certified Guitar Player book that was published by the Country Music Hall of Fame. The tracks on the website for Workshop are not the final album. These are the same versions in the last Bear Family set. These are what Chet did in the Studio before he took them home. His work parts. Wax Time recently reissued Teensville on 180 grams vinyl. It also includes Slinkey and Hot Mocking Bird. Sundazed reissued the 7" single Guitar Blues / Brown Eyes A'Cryin' In The Rain last November, originally from 1946. Pat Kirtley provided the liner notes. This was a Record Story Day release, just like My Brothers Sings was in 2015. Vinyl Passion is releasing the Workshop and Down Home albums on one 180 grams LP. So one album per side. Is that even possible? 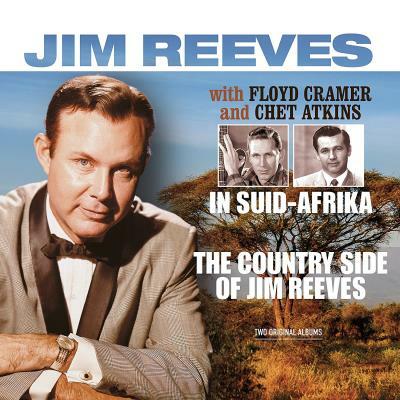 This company issued a Jim Reeves issue with "The Country Side Of Jim Reeves" on one side and "Jim Reeves Floyd Cramer Chet Atkins In Suid Afrika" on Side 2 and it sounds fine. I have ordered the new Chet issue myself. Now, which "Workshop" tracks will be issued here, the regular version or the alternate version? I missed that one Jere. Vinyl Passion indeed released two Jim Reeves albums on one LP; the collaboration album In Suid-Afrika he recorded with Chet Atkins and Floyd Cramer and The Country Side of Jim Reeves. Del Ray Records remastered the Christmas with Chet Atkins album on 180 grams LP. It came out in October last year.